For the neatest lawn all year long, get behind the DR Leaf and Lawn Vacuum. Just pull the lever and go! 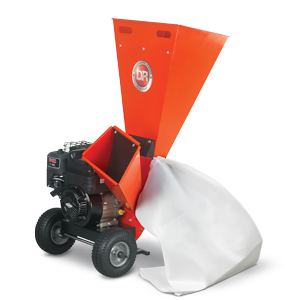 Vacuum leaves, grass clippings, pine cones, pine needles and more with self-propelled ease. This powerful machine makes quick work of yard cleanup. And best of all, you’ll never have to rake again. 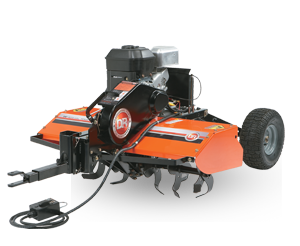 The self-propelled DR Leaf and Lawn Vacuum is ideal for rolling terrain and hilly yards, with three forward speeds and one reverse. High performance 11.50 Briggs & Stratton Engine is far more powerful than engines found on other walk-behind lawn vacuums. A single-lever height adjustment allows you to set the vacuum’s intake height. Use the higher settings when collecting a thick carpet of leaves. Set the nozzle low for matted wet leaves, pine needles, and nuts. 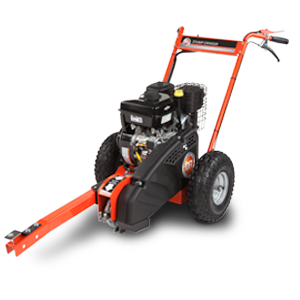 Available with a built-in high-speed wood chipper that makes fast work of prunings, small saplings, and branches up to 2 inches in diameter. The leaf mulch created by the DR Leaf and Lawn Vacuum is a great soil enhancer.